Some of what follows is conjecture. All of it is subject to the imperfections of my memory, but the whole of it is truth, at least as well as I know it. I think he has my mother's birth wrong - I think it's 1910 and I need to check with my sister as to the exact date of her death, but it's the two Beardsley's and Herbert Myron who matter to this story. As I was born in 1948, I obviously never knew HML. I did meet BL senior just before he died. I remember only that he was a frail old man in a hospital bed and that he said something like "Pleased to meet you, young man". That's not much. Sometime later my father gave me an old cigar box full of coins. This was a small tin box, perhaps 6" by 8" and an inch deep. I've looked for it on Ebay hoping to recognize the style, but haven't seen it yet. I can't tell you the brand, but I do think I'd recognize it. It was pretty beat up, so I'd guess it was from the 30's or older. The coins were much older. Large cents and other coins from the 1800's and one very worn coin from 1787 or 1788 (more on that in a later post). 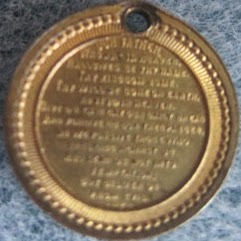 I do not remember anything from the twentieth century unless it was a "Peace Dollar" - well, there was a 1901 commemorative medal, but nothing else that I recall. There were definitely a few late 1800's Morgan dollars. There were no Indian Head cents and (strangely), no V nickels except one from 1883. First, although I did not realize it then, this was obviously an incomplete type set. For those who don't know, a type set is one of each type. For example, if we look at modern Lincoln cents, you'd have one or of the most modern cents with the Union shield, one or one each of the 2009 Bicentennial issues, one of the Lincoln Memorial type and one Wheat Ear (see http://en.wikipedia.org/wiki/Lincoln_cent). That's what was in the box. It wasn't just a random pile of loose change; this was a collection. Second, as I mentioned above, I don't think there were any 20th century coins included except possibly one Peace Dollar. If Beardsley Senior had been the collector, you'd think there would have been 20th century coins - possibly not, of course, but it seems more reasonable to think that. Finally, there were two other pieces. 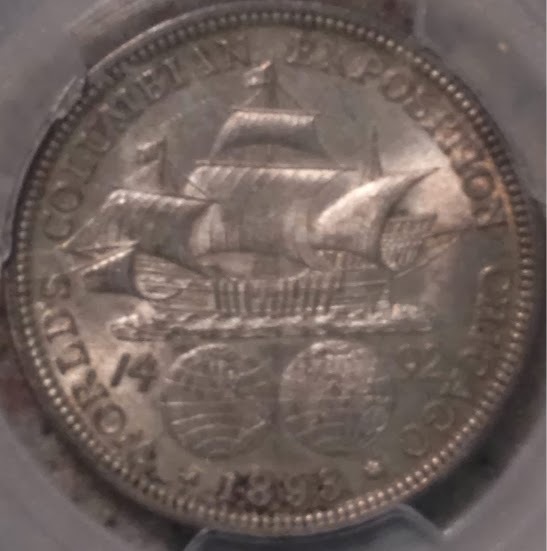 One was a Columbian Half Dollar. These were available at the 1893 World's Fair and might have been acquired there. Beardsley would have been rather young, though of course he could have obtained it later. 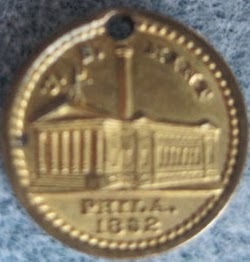 The other exonumia piece has a date of 1832, but was actually minted in 1876 for the "Philadelphia Exposition" and MAY have also re-struck at the 1893 World's Fair (I'm still researching that - there is conflicting information on the Web). Either way, I think it more likely that HML was the collector. Everything else that was in that box I sold at one time or another. Yes, that's awful and I regret it deeply. If my father had told me more about their provenance (assuming he knew, of course), I would not have. To me, these were just a pile of old coins. They did spark an interest in coin collecting, but I had no sentimental attachment to them. It is only very recently that the suspicion that this was an actual collection of my great-grandfather (or his son) formed in my mind. Because I regret this loss, I have been rebuilding this collection. My intent is to pass it and some other interesting coins on to my children. Neither of them have children of their own, but I'm sure they will find someone else in the family to receive them. If that person decides or needs to sell, so be it: I did my part. I'll be including a copy of this post along with other posts I plan to make detailing the contents of the collection. Note: Everything is in a safe deposit box. I keep nothing in my home. Replacing these coins is not as easy as it sounds. Because of the guilt and regret I feel, I want to be very precise in the replacements. 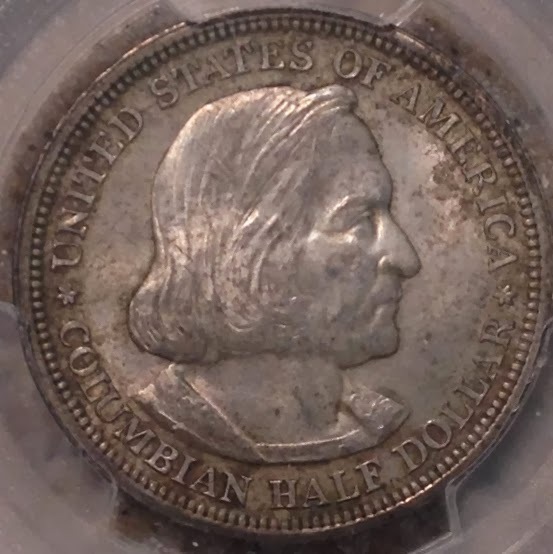 That is, I'm not just cruising Ebay and buying the first Half Cent I see. I remember dates (mostly) and specific conditions and appearance and THAT is what I'm trying to replicate. This leads to interesting conversations. 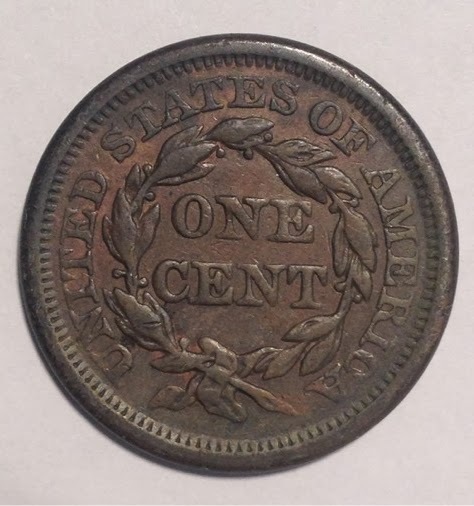 For example, as I write this I have been looking for an 1816 Large Cent. It has to be low grade, dark and somewhat porous. I've had several people offer me higher grade examples, sometimes at good prices and I've turned them down because I specifically need to match my memory of that coin. Other collectors seem vaguely annoyed by that: "Don't you want to upgrade the condition?". No, I do not. I want to replicate what I sold as precisely as I can. 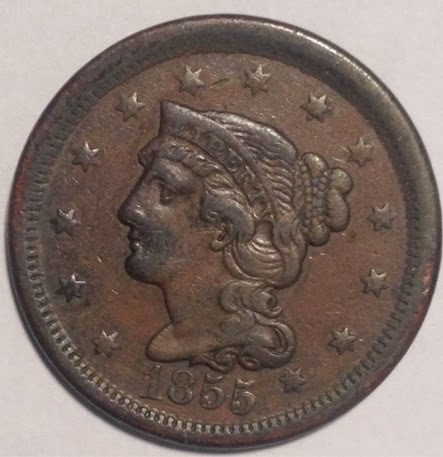 My memory may be inaccurate, so I'm willing to make some adjustment, but I'm not going to replace what was a well circulated coin with a pristine example or even with one nearly pristine. In future posts, I'll detail what I've found so far and include as much numismatic and historical information as I can. All content is my copyright and may not be used without permission. You MAY use my images (those not attributed to someone else) if you include proper attribution and a link back to here.